Property Details: 3 Bedroom, 3 Bathroom Residence with approx. 1,930 square feet. 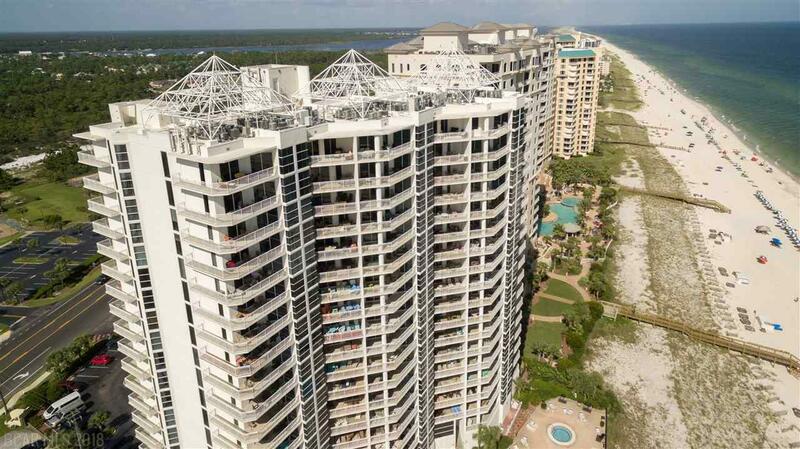 Perdido Key condo for sale at Palacio. This 5th floor beachfront home has amazing views of hte withe-sand beaches and the Gulf of Mexico. The open kitchen is nicely designed with a serving island for food prep and entertaining plus there are plenty of cabinets and drawers for any chef. A separate wet bar with sink is opposite the dining area. Enjoy your morning coffee from the reading nook, with floor-to-ceiling window, just off the kitchen. Visitors will enjoy the private Guest Master suite with its own balcony overlooking the north end of Perdido Key. The kids will have so much fun with their friends and siblings in the bunk-bedroom that sleeps four. The spacious Master Bedroom offers incredible views of the Gulf and has direct access to the Gulf balcony. The Master Bedroom is large enough for a sitting area and has a separate dressing vanity along with a walk-in closet. The Master Bath features an additional vanity, jetted-tub and a separate shower.